I use this Sulfur Soap with the Sulfur 6.6% drying lotion, first I cleanse with the the sulfur soap, then with a Q-tip I apply one drop of the Sulfur 6.6% drying lotion directly to my breakout and leave on overnight and cleanse in the Am with Sulfur Soap again. I use the Lotion as my Acne Spot Treatment! A must have..- Maria, New York. As a professional Trainer for 15 years, I am at the gym all day. This soap is amazing for Acne, Oily skin and Body Acne- My skin feels squeeky clean after use. I keep One Bar in the Shower and One Bar a my Sink to wash my face daily. - Carlos, Maryland. 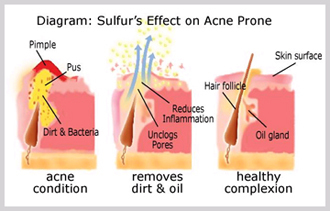 What Sulfur Soap does:Treats and combats acne at the root. Eliminates blackheads, whiteheads, clogged pores, dermatitis, and skin blemishes. 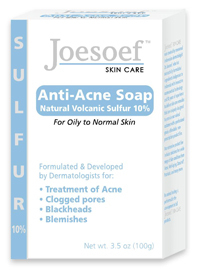 Volcanic Sulfur is a natural anti-bacterial, antiseptic, and anti-fungal ingredient. 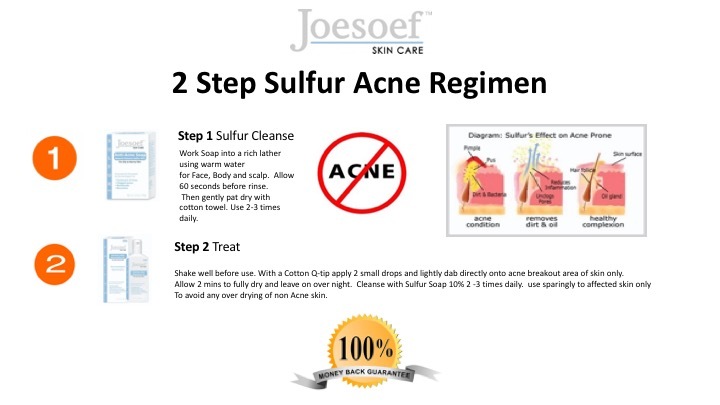 Dr.Joesoef uses refined natural Volcanic Sulfur in order for the sulfur to get under dead skin cells and deep into pores in order to remove acne causing materials. 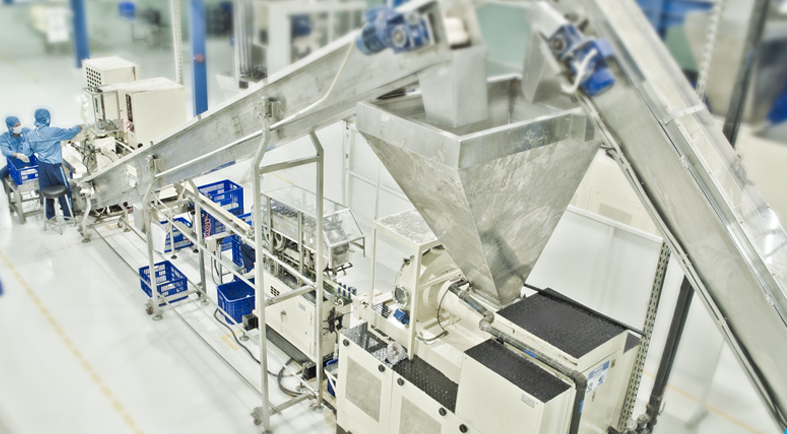 Salicylic Acid exfoliates dead skin cells and unclogs pores. How it works: This soap's natural anti-bacterial, antiseptic, and anti-fungal formula removes harmful dirt and oil buildup to give your skin a healthy complexion and prevent future breakouts. Why it works: Acne and clogged pores are caused by oil, dirt, and bacteria buildup in pores. By removing dead skin cells at the surface of the skin, the formula can penetrate deep into pores and remove all harmful dirt, oil, and bacteria. How and where to use the formula: For Normal to Oily Skin. For use on Face & Body 2-3 times per day. Simple Cleanse 2-3 times Daily with Sulfur Soap 10% using warm water and allow 60 seconds before rinse, gently pat dry. Then Shake bottle well Sulfur 6.6% Acne Lotion and apply 1 or 2 drops with cotton swab or Q-tip to the affected skin area only, allow to dry leave on over night or all day for best results, in the morning cleanse with Sulfur Soap. Our Pharmaceutical Grade Sulfur 6.6% drying lotion is a substitute for Sulfacetamide widely used to treat Acne, Rosacea, Seborrheic Dermatitis, Fungus, Acne Vulgaris and more. 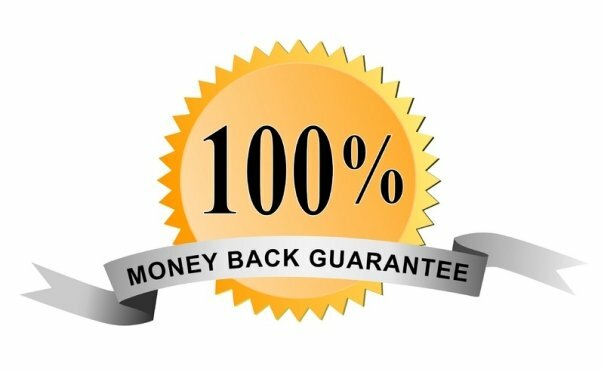 What it does: This unique sulfur based formula treats acne, blackheads, whiteheads, clogged pores, dermatitis, skin blemishes, and regulates oil production. How it works: Sulfur, a natural anti-bacterial and anti-fungal kills harmful bacteria and fungus at the root and reduces inflammation to prevent future breakouts and achieve a healthy complexion. This formula is noncomedogenic and hypoallergenic. How and where to use the formula: With a cotton swab, apply a thin layer to affected area, nighttime use recommended.